Los Angeles is known for many things. As a New Yorker, a few things stand out. There seems to be a lack of driving expertise (sorry, it might just be my lack of patience), and a very laid back attitude (which leads to many delayed meetings). Outside of the countless other notable features, the fact that you have to pay for parking everywhere is astonishing. It actually turns exceedingly expensive when you have a rental. Yet, I had one positive experience in that regard; Hotel Angeleno. To start, Hotel Angeleno had a lot more than just free valet parking (right?). The cylinder shaped hotel which is situated off of the 405 (more on this later), is easily accessible and is very different than the usual big city accommodations. The front desk is warm and smiling, actually upgrading me without me even asking. You are greeted in your room with a bottle of wine (if you drink), and an inviting view of the Los Angeles landscape. The room itself is vividly modern and has all the essentials, especially their suites. Now, with the great view of Los Angeles, you get in some areas a view of the 405. You would think it would be loud and obtuse, but once you close that door, you hear nothing at all. I was actually surprised, and with a long schedule ahead of me, I found myself sleeping in most days (I don’t usually get much sleep). On their 17th floor there is an amazing sweeping view of Los Angeles, almost panoramic, coupled with the West Restaurant (an American cuisine based eatery). 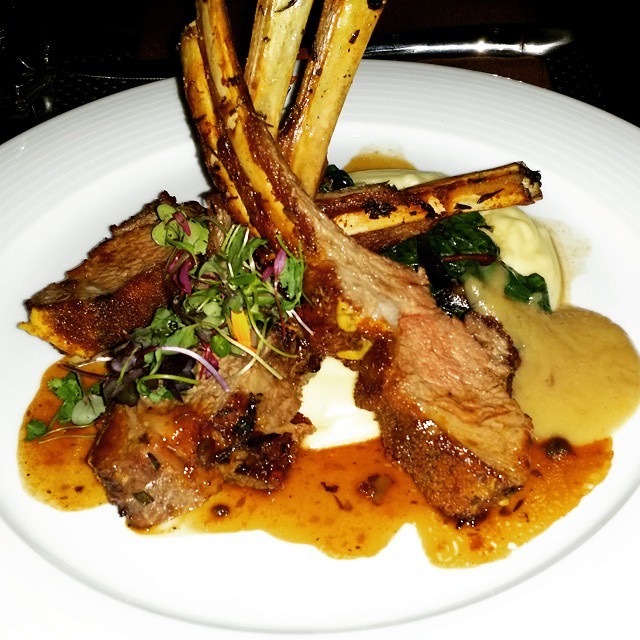 I had the opportunity to sample many of their dishes, finishing off with their mouth watering ginger snap lamb rack. The curator, Laura Scollan took incredible care in cultivating this menu, and it is a great addition to the hotel in general. 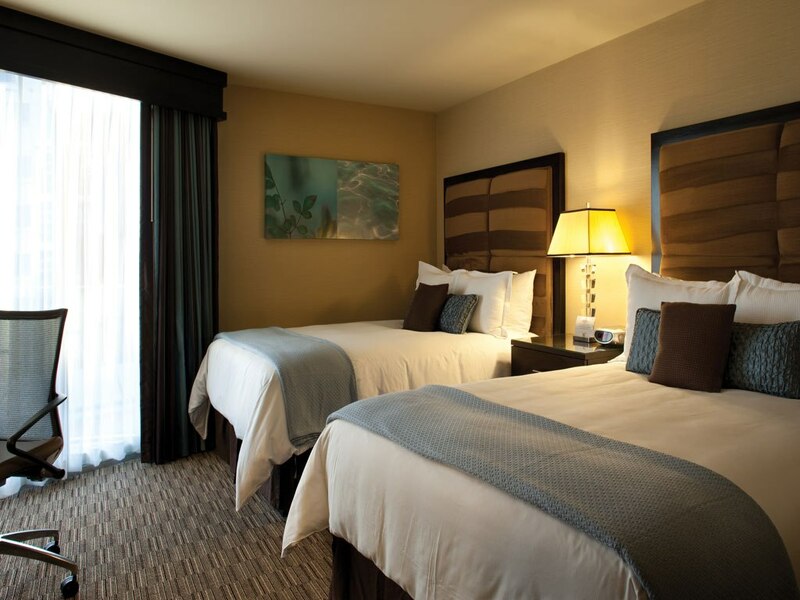 All in all, if you are looking to get away from the hustle and bustle of the usual hotels downtown or what not, Hotel Angeleno is the place to stay. 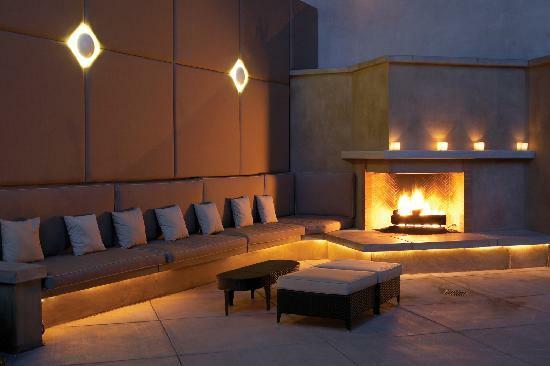 Throw in some reasonable rates (especially in the overpriced Los Angeles), close proximity to major highways, as well as UCLA, a wine hour every day for guests, and you have a perfect mix. Make sure to check them out next time you’re in the Los Angeles area.